Never in my life have I paid attention to other people’s planners. Yet people have sure noticed and raved about mine. I’ve taken my Erin Condren LifePlanner out to meetings with different people three times. Each time, people were so interested in it. It received so much attention! As fun as it is to have such praise over something I own, my Erin Condren planner continues to help me be better organized and less stressed. I am crushing my to-do list like never before! Erin Condren has taken the typical, everyday planner and made it something to covet and be proud of. Each one is unique because you pick the cover and make it your own. With the motivational quotes and lively colors, it just may inspire you to step up your game and get more organized and more accomplished. This is the first paper planner and calendar I’ve used in years. 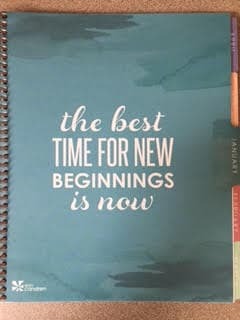 The Erin Condren LifePlanner motivates and inspires me to be successful and to get things done. A big plus, and a first — it encourages me to think about and write out down personal goals and to remember “me time” in addition to all of the usual obligations of work, family, friends, and life. Me time: What a concept! 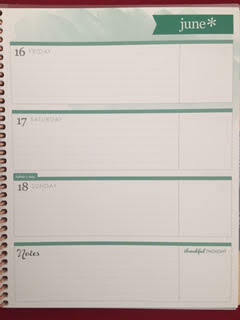 The EC LifePlanner continues to help me be more organized and less stressed because I have everything all in one place. And using the Erin Condren planner has made me use my phone less in general which is great. We all know how one thing leads to another once we get on that smartphone. It was distracting me from actually getting things done. Is buying an Erin Condren LifePlanner worth it? A criticism about the LifePlanner is the price. Even better was my friend gave me an Erin Condren coupon code (See below) which lowered the price. So to answer the question, is the Erin Condren LifePlanner worth the price? I now have peace of mind writing everything down in one space and not needing to carry it all in my mind, keeping me up at night with endless to-do lists running my thoughts. It’s such a motivational and cute calendar/planner that you will actually WANT to use it and refer to it. So yes, it may be more expensive than you may have paid for a planner before, depending on the types you owned. Yet know that for the quality, durability, color options, spot-on motivational quotes, little details and perks that come with this calendar, there really isn’t competition. Yes, you can go to Target or wherever and get one of those planners, but for me, having spent a little more than I would have originally, I found myself using it so much more because I paid more for it. I wanted it to earn its keep, so to speak, so I’m achieving more than ever. The LifePlanner is worth the perceived extra expense. Why? It will be a place for you to unload your thoughts so you can sleep at night. It will be a great place to write your never-ending to-do list, without worrying about pieces of paper with your notes strewn about. No longer will you be stressing about forgetting something. You can easily write everything – absolutely everything – in your EC planner. 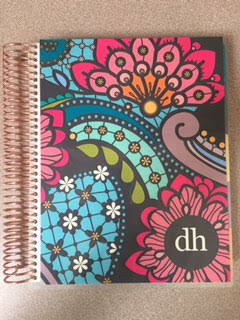 Using the Erin Condren LifePlanner reminds me of the Law of Attraction. By focusing on positive, affirming thoughts, you want to use the planner more, and you will want to stay organized and achieve more. 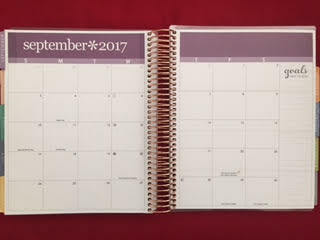 When you go to the Erin Condren website, it is easy to customize exactly what type of LifePlanner you want. You will see exactly what it looks like and can make changes very easily. 12 month or 18 month format. 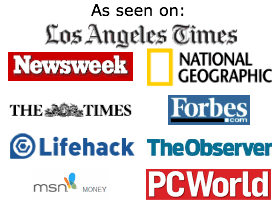 Permanent or interchangeable cover; there are 25+ covers to choose from. Most patterns come in multiple colors, giving you scores of choices to make it your own. What’s really great is on their website you can actually see what your cover and coil combination will look like before ordering. It’s fun to mix and match them. At 7″ x 9″, the Erin Condren planner is large enough to be your go-to resource for all of your lists, plans, goals and information, yet small enough to place in a medium-sized purse. There is a clear plastic pouch and a folder pocket as well. At long last: It’s one place to put everything. Whatever format you choose, vertical, horizontal, or hourly, you can choose what works best for you with plenty of room to list out your daily responsibilities. You can customize the design, colors, format and layout of your EC planner, and now you can have fun with all of the Erin Condren accessories. There are so many ways to motivate and inspire yourself. There are stickers, colorful pens, extra pockets, snap-in dashboards and snap-in bookmarks, wet-erase markers, and more. Not only does the gleaming coil secure all of your pages, you can also use it to change out your cover (if you choose the interchangeable cover). The coil also enables you to snap-in the clear, Plan for It Pouch and the Snap-in Bookmark (also a ruler). The coil will also secure the very handy Erin Condren snap-in dashboards. I have the Snap-In Travel Dashboard and the Snap-In Meal Plan Dashboard and enjoy using both. I love looking at my planner, writing things in it, and crossing things I’ve completed off my list. All the while, I am motivated by positive quotes that resonate with 21st century emotions of being over tasked, overwhelmed and busier than ever. Throughout the planner, there are many places to write down what you want to, including exercise, meal plans, shopping lists, passwords, gift ideas, gratitude journal, daily to-dos, etc. 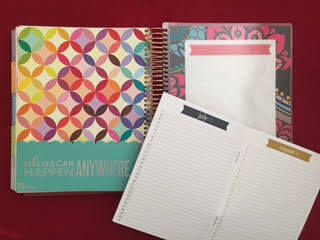 The Erin Condren LifePlanner will enable you to have one place to write down everything. What comes with the EC planner? In addition to all the customizable features, the EC planner comes with the clear Plan for It Pouch with a Perpetual Calendar, sample sticker book, four coil connectors and a snap-in bookmark (ruler). You have the option to snap this pouch anywhere in your EC planner or keep it loose for something else. I’ve been using mine for checks to deposit, gift cards, stamps and coupons. It’s easy to open/close as well. And being it’s clear, you can easily see what’s inside. I don’t know about you, but I have dozens of friends’ and families’ birthdays and anniversaries swirling in my mind. This perpetual calendar enables you to write down everything one time instead of each year. It fits easily in the pocket in the back of the planner for easy access. I also keep some cards and stamps in it to write out cards when I have a few minutes. This calendar comes with every planner so if you already own one, you can easily use the perpetual calendar for anything else: mini datebook, log personal goals, log exercise or steps, meal planning, people to call that month, anything! 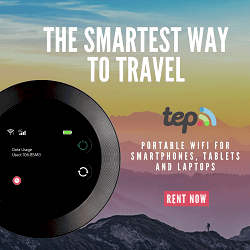 You can fasten a coil connector to a special photo, recipe, invitation, etc. and then snap it into the coil binding of your planner. Four of them come with the planner. What’s inside the Erin Condren Planner? Here is a page-by-page outline of what’s inside the planner. Inside cover: Dry-erase and lined for any notes, reminders, etc. Tab with 2017/2018 years at a glance on a two-page spread. Tab for each month with a blank, lined page on the left and a motivational quote along with the monthly tab on the right. Month-at-a-glance on a two-page spread. Tabs for each month with a two-page spread for that month. The calendar starts with Sunday as the first day of the week. On the right is a vertical space for Goals and To-Dos. Individual pages for that month, broken down by days, starting with Monday – Thursday on the left and Friday through Sunday on the right. This is great for weekend plans because the Sunday is part of the weekend. There’s also room for Notes and a Thankful Thought. Each month ends with the last Sunday of that month. Any remaining days are carried over to the next month. At the start of each month, on the monthly tab page, is a large motivational quote on the right. On the left is a blank lined page. After all of the months is another tabbed section titled Notes. It has six blank lined pages, four blank grid style pages, and four blank pages with a colorful border on top. Following these pages is a two page year at a glance layout for the following year, in this case, 2018. There is also room under each of these mini calendars as there are four blank lines. The bottom fifth of the page has a blank section to write notes “in the coming year” section. Following the notes and future calendar are the stickers. Accessories to place anywhere in the book. Stickers: They are at the back of the LifePlanner. There are also several blank sticker pages. Folder with the Erin Condren Perpetual Calendar. This attached folder/pocket is located after the stickers. This folder is great to tuck in receipts, loose papers, etc. Dry erase inside back cover- Write a to-do, special phone numbers, a motivational quote… anything! The interchangeable covers are great so you can have variety from year to year. Depending on the cover you select, you can include your name, initials, or a monogram. There are so many cute Erin Condren LifePlanner accessories, it’s difficult to choose which ones to get. The Erin Condren website offers a lot more than just planners. We also tried some of the travel accessories, including the Snap-in Travel Dashboard for the LifePlanner — which I keep in my planner all the time — and the Globetrotter on the Go ID Tags (set of two). List-obsessed, I wrote them again and again. I typed my lists on my iPhone and wrote lists in notebooks and on scrap paper. Even though I used the Google calendar on my mobile, I continued to write lists. Overwhelmed and disorganized, I couldn’t sleep with my to-dos spinning in my mind. Some friends were raving about my friend’s “pretty planner” which turned out to be the Erin Condren planner. Getting one changed everything for me. Only recently did I hear about the Erin Condren LifePlanner. I was on vacation visiting friends at our subdivision pool in a town I used to live in. My sweet, trendy, 30-something friend said something about how she was putting the school dates in her planner, and she didn’t realize how soon school was starting. I asked about what made it so great. The EC planner owner along with the friend gushed about something called the Erin Condren LifePlanner. The proud owner then stood up and announced she was running home to get it to show me. Literally, she went home – it was just four blocks, but still – and she brought her Erin Condren planner and accessories in their original box to the pool! We spent the next half hour pouring over her planner. I found it especially interesting to see women who already “have it together” so excited about this paper planner, especially in our age of technology. With such enthusiasm and rave reviews, I really wanted to get one. I’d been thinking about ways to organize my time better. It was time to go back to a paper planner. Between working, my kids’ and husband’s schedules, and volunteering at school, I wanted a place to write everything down, easily and quickly. 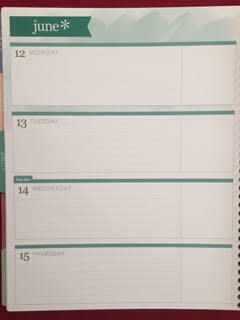 So I switched from my mobile online Google calendar to a paper one, the Erin Condren 18 month LifePlanner. We proceeded to talk about it for almost 10 minutes. She asked me all about it and enjoyed looking at it. The second time I brought it out was to a school district meeting. Unfortunately, right after that, the meeting started, and I left before it ended. I’ll never know if the planner would have elicited further comment. The third time, I was at a committee meeting for an event we were planning. We met at a room at our library. On time but the last to arrive, I took out my Erin Condren planner and a few of the women in the surrounding seats started oohing and ahhing over it. I spent a minute showing everyone it, even the women at the other end of the table who became interested. Going forward, I’m very interested to see what kind of attention it gets. I love it… and not only because it seems to get so much attention. It’s because it’s so cute, practical and fun all at the same time. It has fast become an extension of myself, much like my smart phone. Even more: It’s helped me crush my to-do list. Before, I was list-making all over the place, multiple times a day. I write things down one time. Yes, this planner is pricier than those paper planners and organizers from Target. Yes, you can get a copy-cat version for less money. But paying a bit more has made me want to use it and become more successful with it, in order to warrant the cost. And using an Erin Condren coupon code makes it less expensive as well. The Erin Condren planner helps me keep tasks organized. It help me set goals. The motivational quotes are spot on and actually motivating. Think of everything you want in in a planner. My Erin Condren planner has all of this and more. It is upbeat and uplifting and perfect for work, family and personal goals. It’s been awhile since I’ve been this excited about something. As we multitask and plan everyday, it’s great how the Erin Condren LifePlanner makes it fun. It’s helped me to do more than just “get by” with doing the must-do’s each day. Now, I’m making time for larger projects that I usually procrastinated on or gave up on, simple but time-consuming things like making online photo albums for my kids. Having the EC planner has enabled me to prioritize and even more importantly, to write things down once and cross them off when I finish them. Everything is in one place, freeing up my mind to focus on the present. Much like my smartphone, it’s hard to imagine my life now without it. This is the best planner for busy moms. Do you use an Erin Condren LifePlanner? How has it helped you become more productive? Please leave your Comments below and share this article if you liked it.